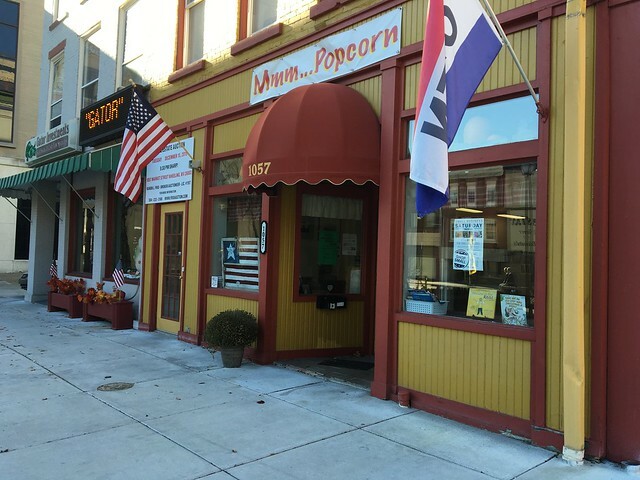 Mmm Popcorn is a new-ish gourmet popcorn shop in downtown Wheeling. Gourmet popcorn, you ask? Yes, and I'm a big fan. When I first walked in, I guess I was a bit underwhelmed. I was thinking Pittsburgh Popcorn Company, and you kinda get the tamed down version of that. But, that's OK. 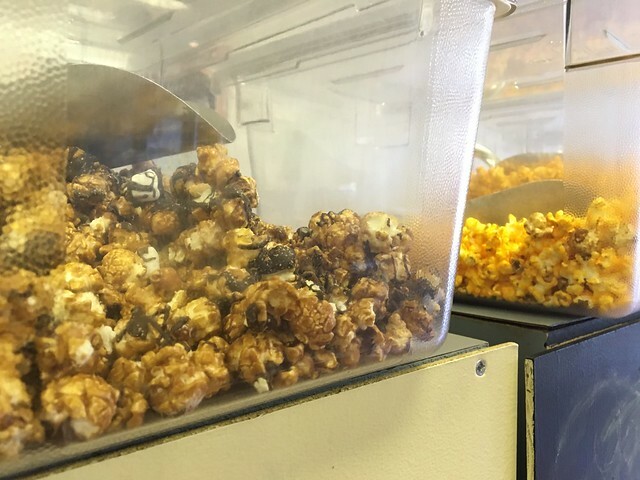 There are a few plastic bins full of a few kinds of popcorn to the right, and a mirrored wall to the left has the handwritten variations available. On this day, the "buckeye" is what sounded most exciting. Chocolate, caramel. Because yes. Overall, it's pretty good. 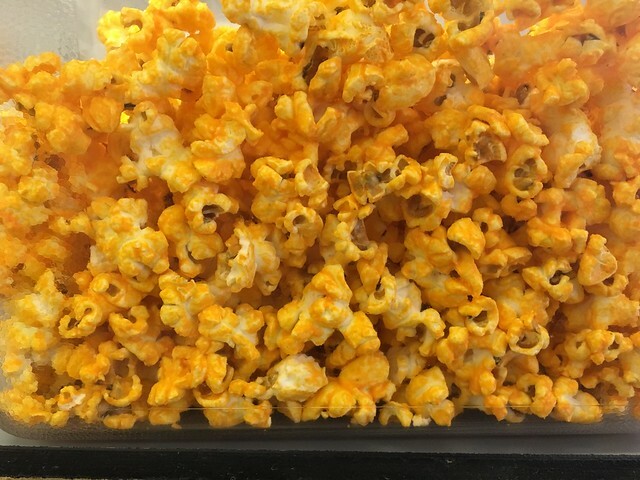 I was hoping for drizzled caramel on top of the popcorn instead of the all-over kind, but that's neither here nor there. 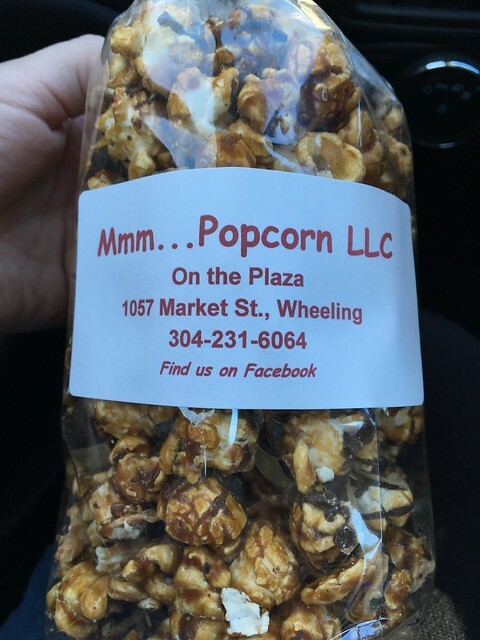 I love the idea of fancy popcorn in Wheeling because I love fancy popcorn (salty + sweet is my jam). 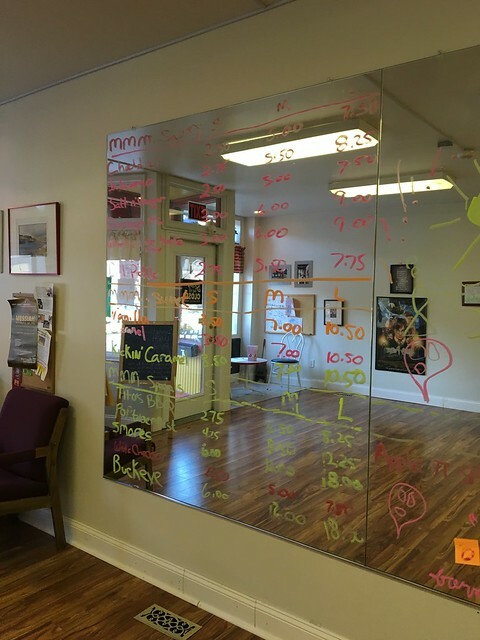 A little bit more refinement and general ambiance inside the shop would do wonders. Until then, the popcorn will keep me coming back.